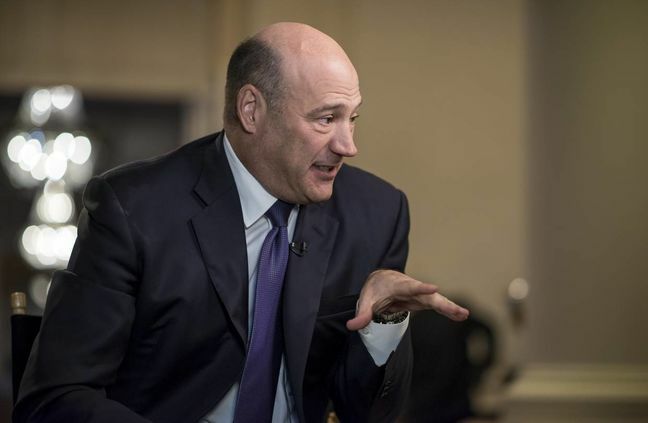 EghtesadOnline: The markets swooned recently amid reports that Donald Trump’s top economic adviser, ex-Goldman Sachs President Gary Cohn, was considering whether to quit. Bloomberg News and others reported that he was deeply distressed by Trump’s comments that "both sides" were to blame for the deadly violence in Charlottesville, Virginia. Now Cohn is staying and, for the first time, he gave the reason why: He isn’t going to let some white supremacists run him off, Bloomberg reported. "As a Jewish American, I will not allow neo-Nazis ranting ‘Jews will not replace us’ to cause this Jew to leave his job," Cohn said in an interview published Friday by the Financial Times. But Cohn, director of the White House National Economic Council, told the newspaper the Trump administration must take a stronger public stance against white supremacists. Cohn was standing beside Trump at a news conference in New York last week when the president made comments that appeared to confer legitimacy on them. He added that he has made his views clear to Trump. “I have had numerous private conversations with the president on this topic -- I have not been bashful saying what I think,” Cohn said. He said after the violence in Charlottesville he came “under enormous pressure both to resign and to remain” in his post. But he said felt duty-bound to fulfill his “commitment to work on behalf of the American people." Treasury Secretary Steven Mnuchin, who, like Cohn, is Jewish and who also was standing with Trump during the New York news conference, said Friday he had never considered leaving the administration when reporters asked him about Cohn’s comments. “There’s no question that the president was not equating the hate groups with the people who were peacefully and under no circumstances was I going to resign,” Mnuchin said.